This Action Research Workshop will provide tools, strategies, and approaches for doing research in your own classroom. Learn how to formulate questions about your teaching practice, or questions about a teaching practice you want to try. Participants will discuss strategies and tools to assess outcomes, and how to write up a report about your findings so that you can share what you learn with a wider audience. Action Research is something ALL TESOL instructors can benefit from (K12, Adult Ed, Higher Ed). Dr. Vinogradova is an applied linguist interested in the use of digital technology in language education and in identity negotiation in multimodal personal narratives. Her recent research focuses on the development of multiliteracies and pedagogical uses of digital stories in ESL and heritage language instruction. 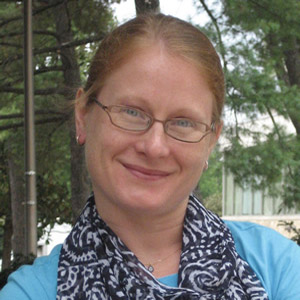 Dr. Vinogradova holds a PhD in Language, Literacy and Culture from the University of Maryland, Baltimore County (UMBC) and has MA degrees in TESOL from the University of Northern Iowa and in Intercultural Communication from UMBC. "As a first time member of WATESOL, I was very impressed with today's workshop and I look forward to attending more in the future." "It was really practical and interactive. It was one of the best I have ever attended." "It was great to have the opportunity to connect with other professionals in the field and plan together." "For me, it was very helpful to learn how to narrow down the topic and the question of the Action Research." "Learning about how Action Research can work in my classroom was very helpful. A lot of workshops I have attended have not focused as much on practical application."